The Kingfisher School Nursery was delighted to welcome new children to our weekly PEEP group today. 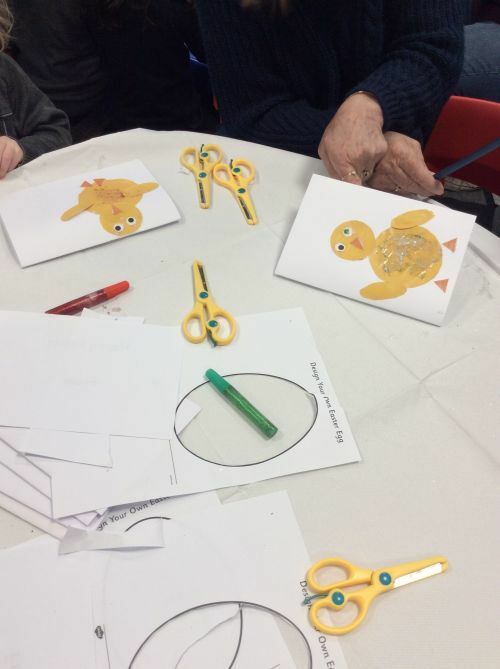 This week's PEEP group was a fun event with lots of Easter themed arts and crafts, Lego making and play. The rain meant we had to stay inside today but we'll look forward to the Spring sunshine in the new term when PEEP group can be outside again. Six new children will be starting in Nursery after Easter which will mean that our Nursery will be full. 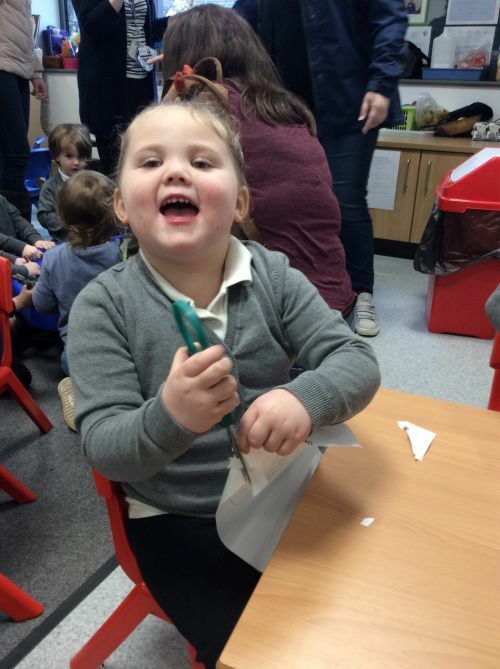 Mums, dads and grandmas had a lovely time helping their children to make cards, doing lots of sticking and cutting. Current children, including Savannah below, enjoyed helping the new children. 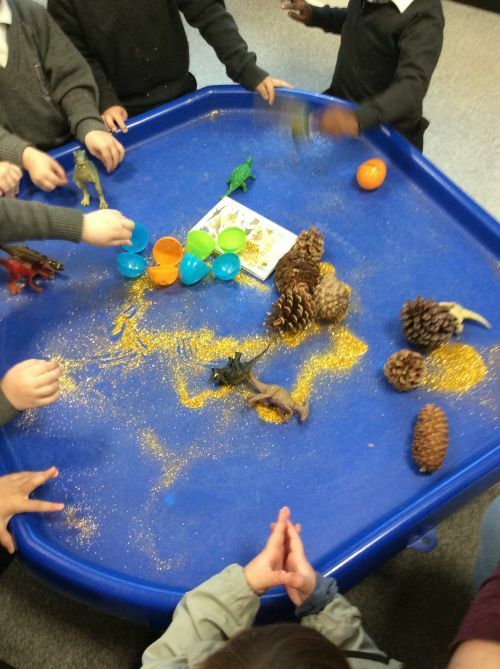 Children were able to play with lots of different items, giving them lots of inspiration for creative ideas! 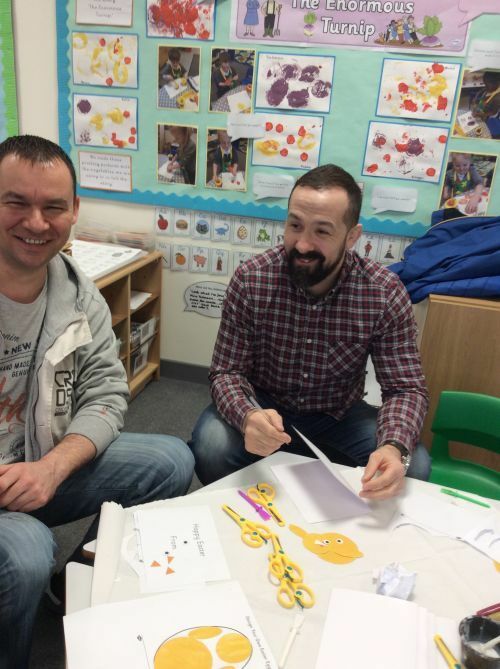 Some children liked the idea of making Easter themed cards for their family members..
Dads were fully included as well - one even said he was having so much fun he didn't want to leave! 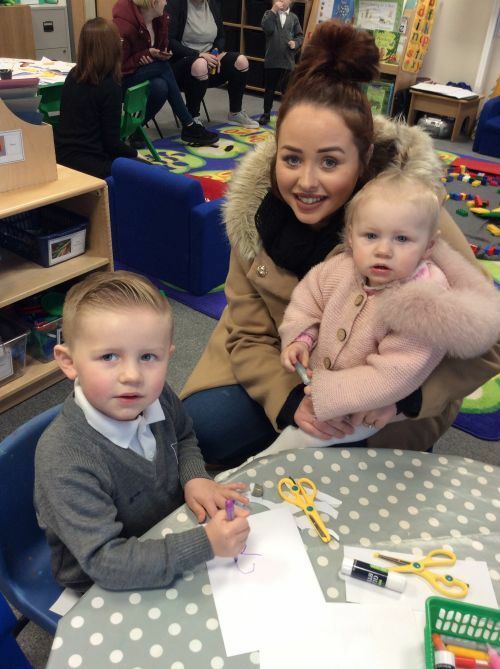 Corey enjoyed his morning with mum and little sister - it won't be long until she joins us in Nursery! 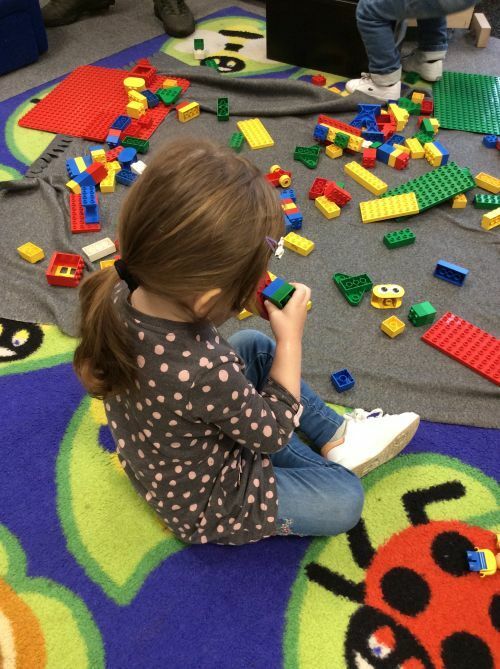 Clara enjoyed the Lego as well! We very much look forward to our new children joining us after the Easter holiday. Just a reminder that Term 5 starts on 23rd April.